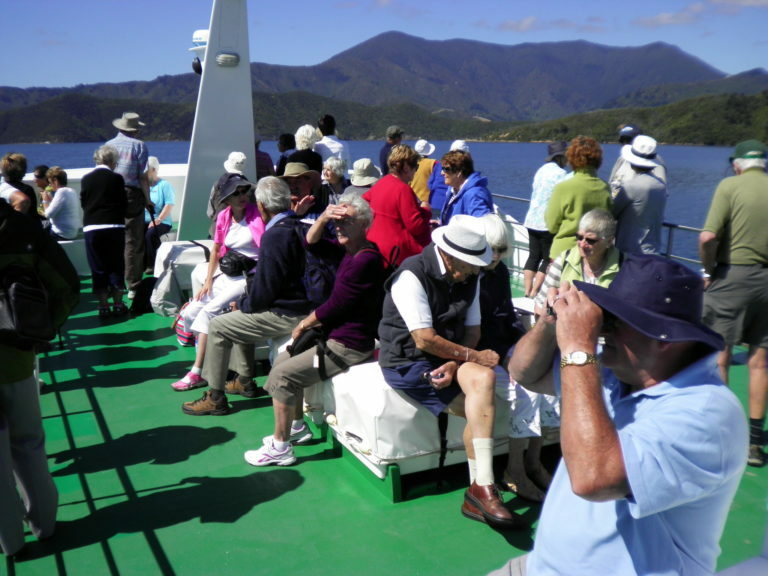 Back by popular demand, today we take a cruise with Beachcomber Cruises from Anakiwa around to Picton. Beachcomber Cruises is a family owned and operated business, with a number of vessels operating throughout the Queen Charlotte Sounds. The staff are friendly and knowledgeable sharing an informative commentary and the scenery you will see is beautiful. In Picton we will have lunch before returning by boat while again enjoying the scenery back to Anakiwa and then onto Nelson.